Don’t buy into myths; learn the truth. There are many myths, misconceptions and prejudices surrounding substance use and addiction that impede efforts to combat the current opioid epidemic. They also foster stigma—negative and often unfair beliefs—that isolate and shame people, preventing them from seeking the help they need to live healthy and full lives. Opioid addiction is a chronic brain disease that can be medically treated. Research in the science of addiction and the treatment of substance use disorders has led to the development of evidence-based interventions that help people stop using drugs and live productive lives. With access to these treatments and support, people can and do recover from drug addiction. People with substance use disorders may need lifelong treatment. Like other chronic diseases, there can be a relapse. Relapse does not mean that treatment does not work, rather it means that treatment needs to continue in the manner most supportive to the individual. Learn about treatment options. People CAN and DO recover. How we speak and write about addiction and recovery also makes a difference. Learn more by reading Psychology Today’s article Communicating About Addiction: Accuracy or Alienation? Proper treatment enables people to counteract addiction’s powerful disruptive effects on their brain and behavior and regain control of their lives. The National Institute on Drug Abuse says research shows that combining treatment medications (where available) with behavioral therapy is the best way to ensure success for most patients. Treatment approaches must be tailored to address each patient’s drug use patterns and drug-related medical, psychiatric, and social problems. Medications (such as Methadone, Buprenorphine and Naltrexone) can counter the effects of opioids on the brain or relieve withdrawal symptoms and cravings, helping the patient avoid relapse. Learn more about Medication Assisted Treatment (MAT). Behavioral therapy helps engage people in substance use disorder treatment, modifying their attitudes and behaviors related to drug use and increasing their life skills to handle stressful circumstances and environmental cues that may trigger intense craving for drugs and prompt another cycle of compulsive use. Behavioral therapies can also enhance the effectiveness of medications and help people remain in treatment longer. 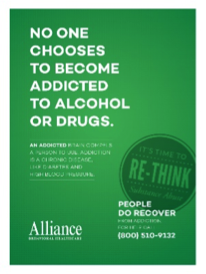 Learn more about treatment options at https://www.drugabuse.gov/publications/drugs-brains-behavior-science-addiction/treatment-recovery.